While cooking dinner tonight, I felt inspired by one of my favourite Instagram accounts, @TalineGabriel. 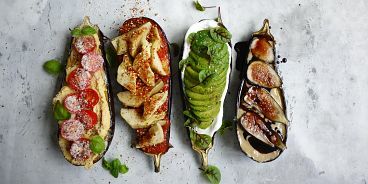 This feed is absolutely overflowing with colourful, healthy recipe inspiration!!! You won’t be able to stop scrolling. 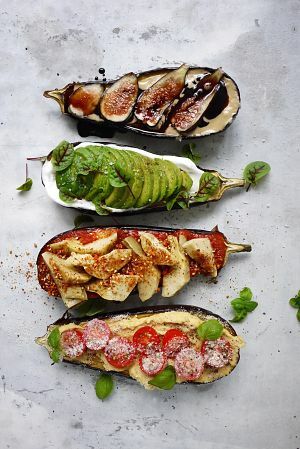 Three weeks ago, Taline posted a shot of roasted eggplant done four ways, kind of like this one. She shared her ingredients here in the IG caption. I used what I had in the fridge. Scroll for my deets.